Fleeing from Germany to agricultural settlements in Ecuador. For over a decade I have been an ambassador of the JDC as a Jewish federation fundraiser. It has always been a privilege to talk about “the Joint’s” life-saving work to donors and lay leaders. 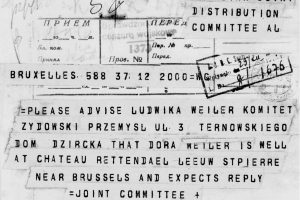 Little did I know that during the war years the JDC helped my own family, thus making what was once merely a professional pledge into something deeply more personal. My opa (German for “grandfather”) Joseph “Jose” Katz, his parents and five siblings were living in Nentershausen, Germany in 1939. They fled from Nazi Europe to Ecuador, a developing country that accepted refugees with the caveat that they work in agriculture to help meet the needs of the country’s growing population. Jose and his brothers settled in a farming village called Cristiania where Jose supplemented his income by selling bread door-to-door. 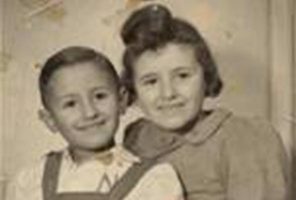 Life in Ecuador was difficult for most of the Jewish refugees who arrived in the ‘30s and 40’s, with the culture alienating and the adjustment after escaping Nazi Europe traumatizing. Jose and countless others were fortunate enough to count on organizations like the JDC that provided monetary, spiritual and emotional support to those starting anew. JDC was also instrumental in providing Jewish books and religious articles to establish synagogues and help the immigrants maintain their Jewish identities and achieve a sense of normalcy. Jose was able to succeed, in part thanks to a small stipend from JDC that helped him meet his family’s basic needs. A few months after arriving in the country, Jose left the farm and opened a bakery with his sister and brother-in-law. He married my oma (German for “grandmother”) Edith Czarninski and later moved to Cuenca where they purchased a restaurant called Salon Toledo. European pastries were a novelty at the time and the locals loved my opa’s freshly baked goods. 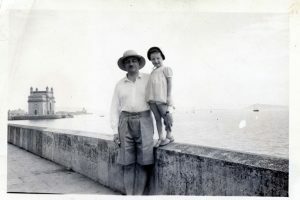 My father Pedro was born in 1947 and the family quickly felt at home in their adopted country. The business was a success and it soon grew to include a bakery and large supermarket. 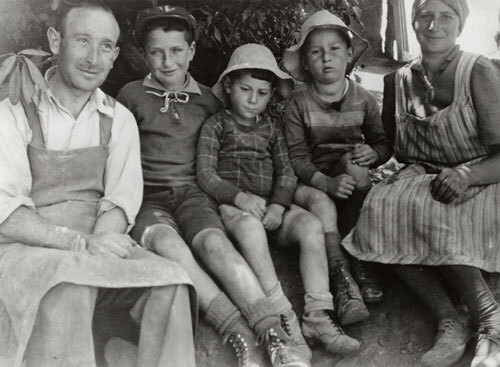 Josef Katz and his family living on a farm in a JDC-supported colony in Ecuador in 1943. From left to right: nephews Bert, Carlos and Manfred and sister-in-law Martha. 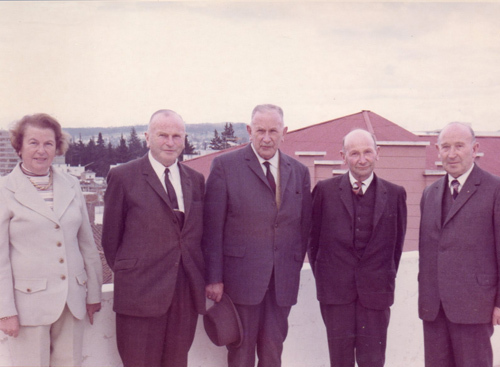 My uncle Bert recently sent me a JDC archival photo (above) of my opa and uncles in Ecuador. I was amazed to see this photographic affirmation of the relief efforts the JDC provided to my family as they were immigrants searching for a home, a livelihood, and a place for themselves in their new world. My opa received a helping hand 75 years ago from strangers who were looking after the well-being of fellow Jews in distress. Unfortunately there are still Jews in distress worldwide to this day. Just like those fellow Jews felt compelled to help my family so many years ago, I feel the same responsibility to help someone else’s family today. Emely Katz is a fundraiser for the Jewish Federation of Greater Orlando. This story has been shared with her permission.